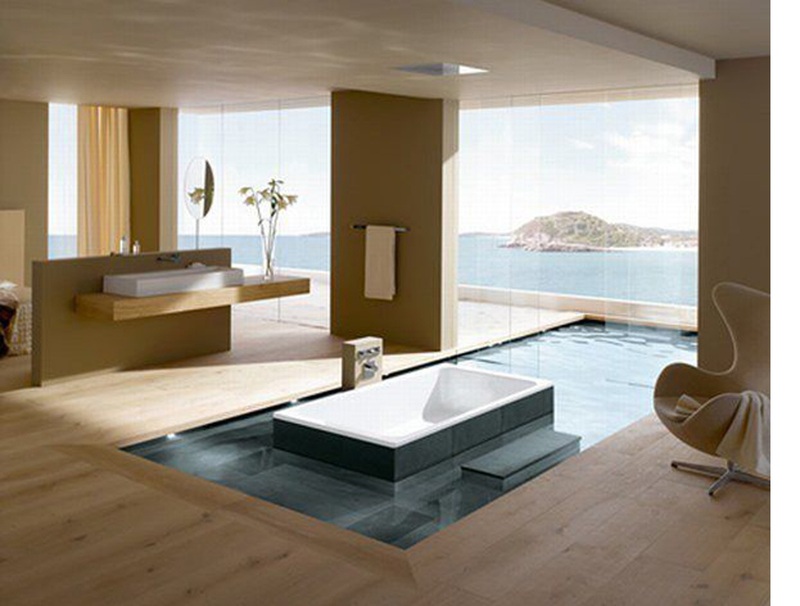 What makes it or breaks it in terms of a luxury bath, what is it that defines luxury when in a bathroom..thinking about what you could possibly do there, functions related to bathing seem to be the closest to luxury.. But what is luxury? It is an escape. It is a want, a need, an aspiration toward a fabricated need. And yet we all cherish it. It is as close to fantasy as we can buy or build. Looking at this example, what do you see? Being away, exotic land, water for its pleasurable enjoyment, not necessarily washing your body ..integrating with nature..escapism from urban settings..
Of course, I talk like a urbanite myself..but we are, mostly that, the rest are mere exceptions.